Rick joined Camp Fire in 2007 as our Director of Camping & Outdoor Education and has served as Executive Director for the past 5 years. He brings more than 30 years experience directing camps across the country. Rick & his wife have three grown children and live at Camp Sealth with their dog, Dobby. Rick believes that Camp Fire’s commitment to inclusivity and empowering youth in small group settings is what makes it such a great organization to be a part of. Kristen has been with Camp Fire since 2013. A New York State transplant, she brings more than 14 years in fund development and marketing experience. She received a bachelor’s degree in communication from the University at Buffalo where she also played tennis for the Bulls. She shares a home with her husband and two temperamental felines. 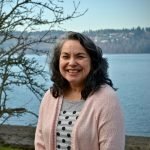 She enjoys yoga, hiking and exploring the Pacific Northwest. Kristen applauds Camp Fire’s commitment to incorporating kids with special needs into each of their programs. Nicole joined the Camp Fire team in 2016 after graduating from Eastern Washington University (Go Eags!) where she earned her bachelor’s degree in communications while also studying public relations, journalism, and leadership. 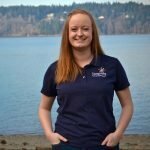 In her free time, she enjoys hiking, reading comic books, sipping on coffee, and cheering on the Seattle Sounders. 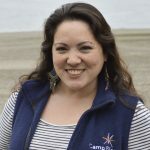 Nicole values Camp Fire most for empowering youth of all backgrounds and connecting them to nature. 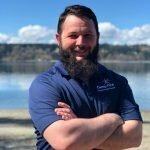 Josh joins the Camp Sealth team with over nine years of experience working in the outdoor industry. 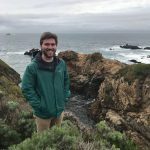 A native of Central Ohio, Josh has spent time working for several outdoor focused youth serving non profits including the Boy Scouts, an independent camp in southern Ohio, and the YMCA. 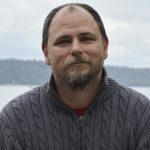 In his down time, Josh enjoys spending time in the outdoors, visiting the many climbing gyms and facilities around the Seattle area spending time hiking with his dog Fitz, and watching sports including his beloved Cleveland Browns. 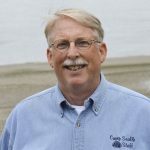 Josh looks forward to delivering Camp Fire’s commitment to environmental stewardship to our partners, as well as sharing his love for experiential learning with the guests at Camp Sealth. 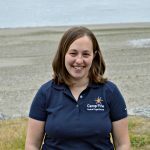 A 3rd generation Camp Fire member, Kerrie has served as our day camp manager since 2012. 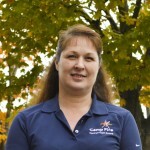 Also known as “Bob” she enjoys hiking, geocaching and traveling in her spare time. She also serves as a volunteer Co-Leader of a Horizon Camp Fire group. 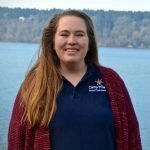 Alex, also known as “Groot”, joined the Camp Fire Seattle office after having spent the past summer working as an Assistant Camp Director at Camp Sealth. 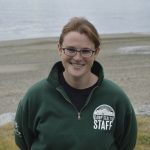 Before joining Camp Fire, Alex worked at an Outdoor Education Institute in California for a year as a Senior Instructor. A southeast Indiana native, Alex graduated from Marian University in Indianapolis with a B.S. in Secondary Education and Biology. In his down time, Alex can be found exploring parks and hikes around the Seattle area, listening to podcasts, and watching sporting events, especially those involving Cincinnati sports teams. 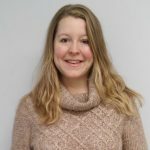 Megan joined the Camp Fire team in 2018 after graduating from Central Michigan University, where she studied Outdoor and Environmental Recreation. A west Michigan native, Megan has spent time working for various YMCA camps across the state. 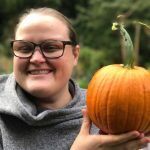 Megan enjoys spending her free time exploring the Pacific Northwest, taking pictures, crafting, boating, and taking care of her two fish, puppy Charlie and countless succulents. Michael has worked with the Council in some capacity since the Summer of 2012, when he started as a summer camp staff member. Serving as Member Services Manager since October 2017, Michael, A.K.A “Chip,” is dedicated to helping families get the most out of their Camp Fire experience. With a B.A. 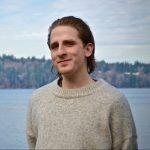 in Cultural Anthropology, Michael is passionate about cultural studies and social theory, and adds “Camp Fire’s determination to include all youth, from all cultural backgrounds, is a keystone value that makes it such a great organization to be apart of and contribute to.” Michael enjoys live music, HIIT fitness, and films. 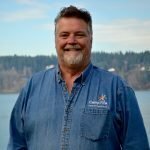 Chad has more than 20 years experience, with more than 10 working at Camp Sealth. Also know as “Pipeline”, he enjoys playing golf and watching sports in his spare time. He resides at camp with his wife Carrie, son T. Frazier and cat Aine. His favorite part of working for Camp Fire is problem-solving and creating new opportunities for experiential education.